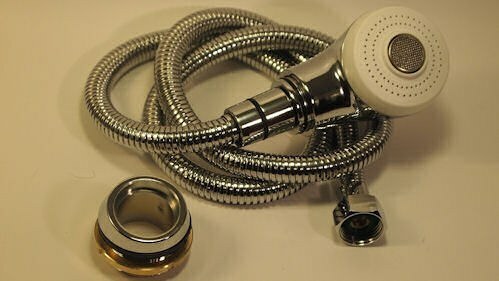 Dual use sprayer assembly for fill and shower function. Elle, Tuscany and Murano 25th anniversary models. European Touch part number 30150001.